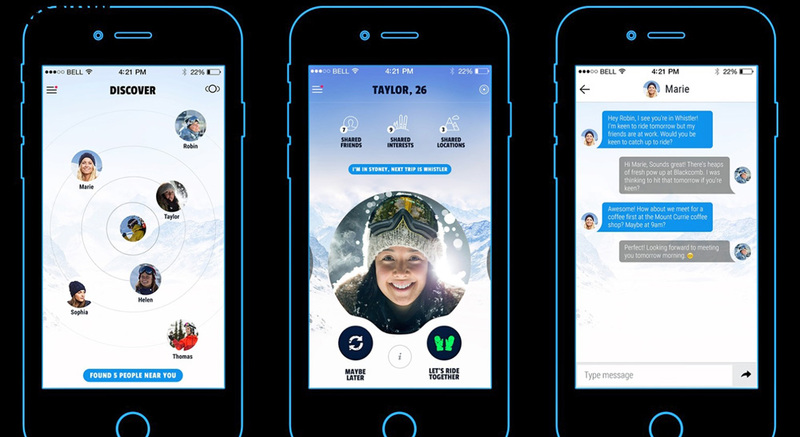 GoSnow is the first app for skiers and riders to meet up and plan trips. GoSnow was founded by a snowboarding Aussie named Sean Bellerby. Bellerby wants to inspire and connect skiers and riders worldwide to ride and experience more on the snow. The app lets like-minded individuals socialize more. Meet Up: GoSnow makes it easy to meet local skiers/riders in the same ski town or planning the same tip. Meet up on or off the snow. Plan Trips: Arrange trips with new and existing friends. Create trips, make invites, and have a blast on the trip you always wanted to take. Riding Buddies: Connect with every skier and rider worldwide. Grow your buddy list so you always have someone to ski/ride with. Maybe they can hook you up with lodging or transportation as well. The free GoSnow app is available only at the Apple Store. An Android version is in the works. Connect with GoSnow on Facebook at GoSnowApp.